According to a recent Nielsen report, the average U.S. adult now spends nearly 11 hours per day connected to some type of digital media. 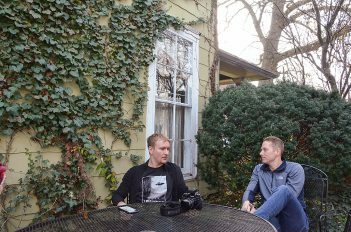 Although social media platforms have a reputation for wasting time, three Hamilton County residents chose to lean into the rising tide of Instagram, building community and forming their own lucrative side ventures. In 2012, iPhones increased in popularity and accessibility after having been picked up by Sprint and Verizon the previous year. Instagram, which started as a photo filter app in 2010, had just been bought by Facebook in what turned out to be a fateful tech acquisition because of Instagram’s increasing growth. In June 2018, Instagram reached 1 billion users, half of whom view the app daily. 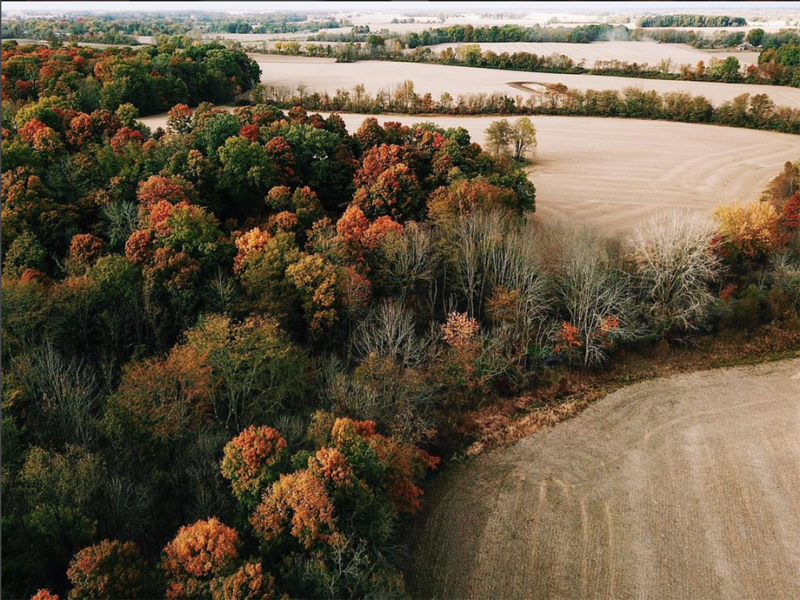 Zionsville resident Andrew Griswold recalled the burgeoning Instagram community. A graphic designer by day, Griswold began honing his photography skills with Instagram as the catalyst. Andy Cassler, a Westfield resident, was one of the first people Griswold met through location-based Instagram hashtags. Cassler still remembers downloading the app, sparking his newfound interest in photography. Griswold and Cassler noticed that people in other places like New York and Hong Kong were doing “InstaMeets,” organized meetups where photographers explored an area of the city together while taking photos for Instagram. They felt Indianapolis could play host to something similar. “We talked about it for a couple months and then organized one,” Griswold said. Their first InstaMeet was in January 2013 on Monument Circle in Indianapolis. It was cold, but people showed. Each meetup gained more attendees. The group became known as #IGersIndy and created the account @IGersIndy to repost tagged photos. Today, the account has nearly 22,000 followers and meetups are still planned periodically. Local entities began to see IGersIndy as a marketing tool. Museums and hotels invited the group for meetups and conducted product giveaways or sometimes provided food. 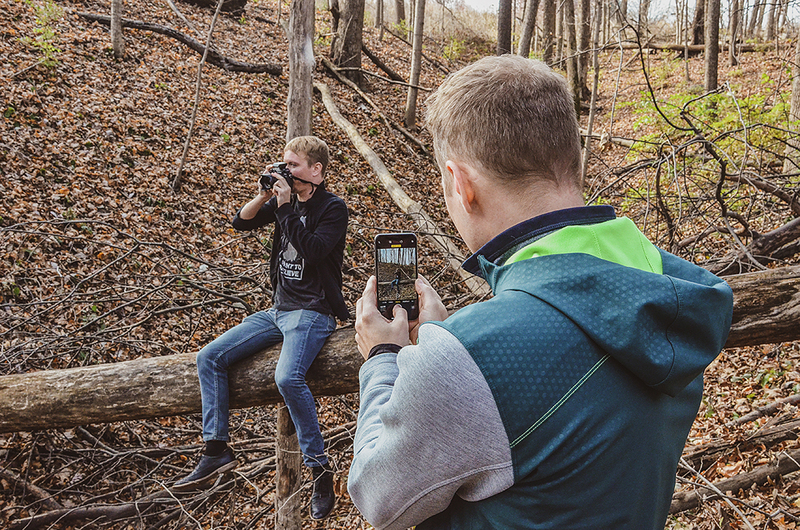 Realizing the potential to profit from IGersIndy, the core group decided that the point was not to make money, but to be a free and open community for photographers to meet and explore the city, exchange ideas and share content. “There was a chain reaction for promotional opportunities, but as a community there was a general consensus that we didn’t want it to take that shape,” Cassler said. Griswold, however, found himself stepping naturally into the marketing role. “I’ve always been kind of business-oriented. I think of social media as a tool and not a mindless platform to scroll,” Griswold said. In 2014, he was featured by Instagram, and his follower numbers increased. During the next four years, Griswold used Instagram to connect with various companies and brands. He began running sponsored campaigns and designed the content to generate business. For the Children’s Museum campaign, Griswold organized a handful of what would later become known as “influencers”, Instagram accounts with established credibility. The museum granted special access and gave a tour to Griswold and his crew. Now, an account must have more than 5,000 followers to be an Instagram influencer. Influencers typically charge $10 per 1,000 followers for a sponsored post and more for a larger campaign. Griswold works full time as an art director for Well Done Marketing and works an additional 40 hours each week running digital campaigns for freelance clients. He has worked with Olympus, Polaroid, Microsoft and Samsung, among other companies. He has more than 63,000 followers on his personal Instagram account. “It’s a fun journey and it’s crazy how it’s grown,” Griswold said. Addison Ray, a 2007 Zionsville Community High School graduate, began using Instagram in 2012. Like Griswold and Cassler, he also was finding his footing with photography by utilizing the app’s filters and tags. While visiting Austin, Texas in 2011, Ray was inspired by the “Keep Austin Weird” slogan and thought social media could bolster independent businesses in Indianapolis. Ray launched Keep Indy Indie in 2013, first as an Instagram hashtag and then as its own account, @KeepIndyIndie. The term “indie” refers to supporting independent businesses. In 2017, a Groupon survey showed 67 percent of Americans favor shopping at small businesses as opposed to large national chains. Ray first created all of the content himself, visiting businesses and photographing on location. He attended the IGersIndy meetups and met local photographers. Instagram users began tagging their photos with #KeepIndyIndie and Ray re-posted them. Ray said approximately one-third of the Instagram content is original and two-thirds are reposts. He also runs a Keep Indy Indie website and Facebook page and Twitter account. The website, keepindyindie.com, offers a digital directory of independently owned businesses in the city, including suburbs like Zionsville. The unique business model has become Ray’s full-time job. Directory listings range from $99 to $249 per business per year. Social media posts are used to plug the listings. Businesses also can pay for a sponsored post. Taking great photos comes down to a few basic things for me; light, composition, and subject matter. Combining two or more of these that makes a photo really stand out against the rest. Natural sunlight is the best source for any photo. Harsh midday light is much more difficult to work with than “golden hour”, the gold-toned light that occurs after sunrise and a couple hours before sunset each day. If you don’t have access to natural light, get creative by using street lights, neon signage, a laptop screen, or even a flashlight. It can literally be anything. A friend, building, pet, plant, toy, or other things that you have right in front of you. I love shooting architecture and nature so I am gravitated towards anything with great leading lines. Layout is incredibly important. It can tell a story or move someone through an image with their eyes quickly and easily. Convey what you want someone to focus on first and then build upon that as they continue to look at the photo. Rule of thirds is by far the easiest to remember and implement. You break the image into thirds with imaginary lines. These lines then help you frame a shot by placing your subject in the bottom, middle or top third. The great thing about most smartphones today is you can actually build in these guides to your native camera app for quick reference.